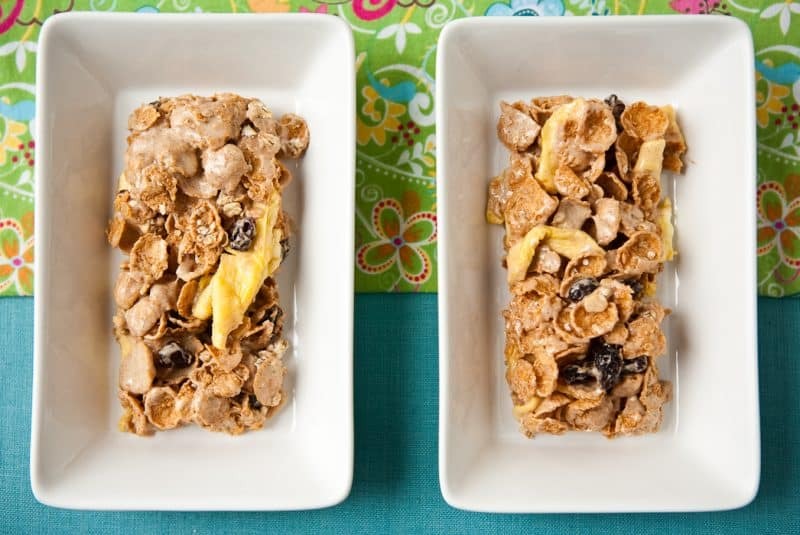 Here are some cereal bars that I created using Oatmeal Crisp® Cereal. They were sweet and satisfying. Spray 13x9-inch (3-quart) glass baking dish with cooking spray. In large bowl, mix cereal and dried apples. In 2-quart saucepan, melt butter over low heat. Add marshmallows, brown sugar and cinnamon. Cook and stir until marshmallows are melted and sugar is dissolved. Pour over cereal mixture; toss to coat. Press in baking dish. Cool completely. Cut into 6 rows by 4 rows.